Know a kid (or adult) who loves dinosaurs? 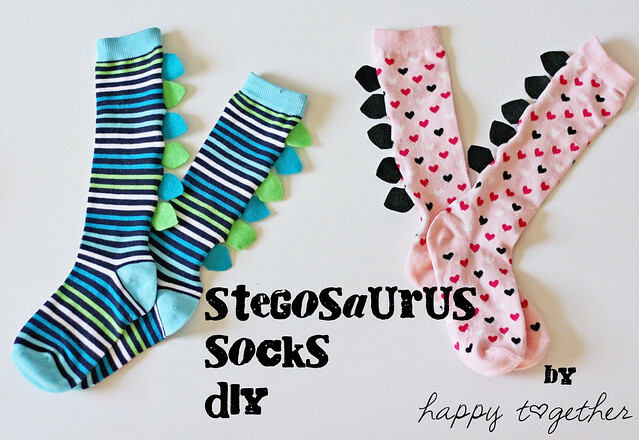 Why not make them a pair of stegosaurus socks? They are quick to make and would be a great stocking stuffer for Christmas (which is just around the corner). I was inspired to make these because my daughter is kind of liking dinosaurs right now. They aren’t her super favorite, but she really likes them. She even keeps saying she wants a dinosaur birthday party for her fifth birthday. We’ll see how long that idea lasts since her birthday is quite a ways away. I wanted to see how these looked on a boy too, so my friend let her son help me out. I took the pics on Sunday at church and they got so many compliments on their socks! I love how each of them ended up having a stuffed animal with them. It was one of those, let’s hurry and grab some quick shots while I can picture taking times. I was so focused on trying to capture the socks I didn’t get a good one of the shirts! 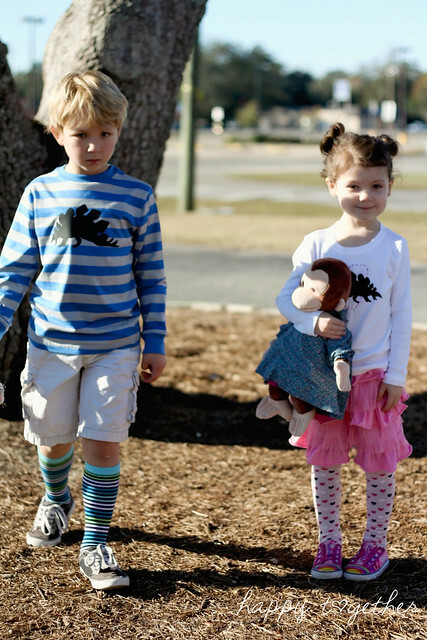 I used the smooth heat transfer material and my Silhouette Cameo to create the stegosaurus silhouette on their shirts. 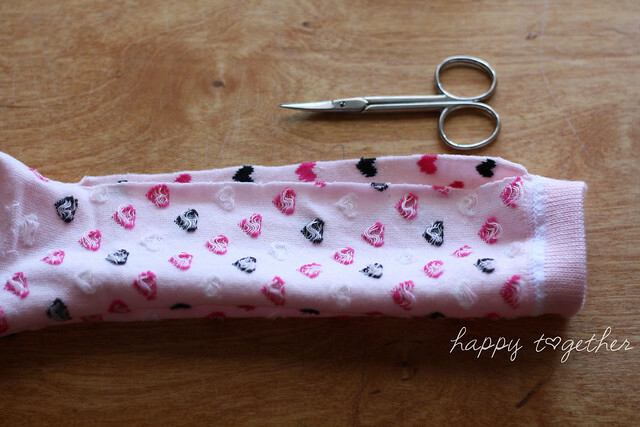 Then on my daughter’s I embroidered a heart to match the hearts on her socks. First start by making some stegosaurus spikes. I made mine to look more realistic. I tried triangles, but I liked this shape better. I just free handed one and used it as a pattern to do them all. You can search pictures of the dinosaur to get a good idea of how they look. You could even print out a pic off the internet and use one of the spikes as your pattern piece. 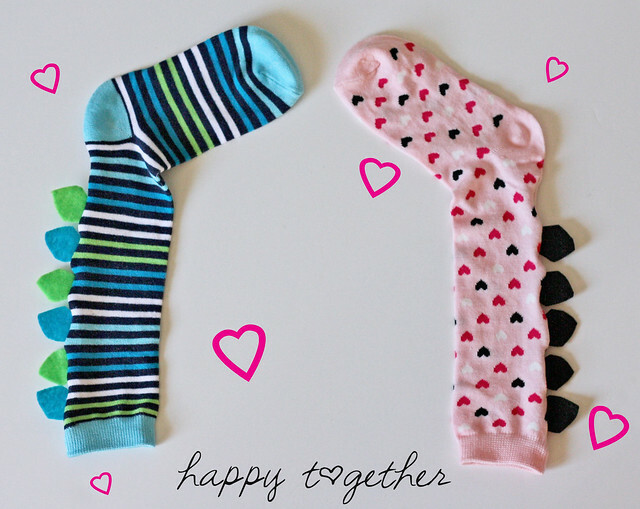 I ended up using 5 on each sock for my daughters and 6 on each sock for the boys. 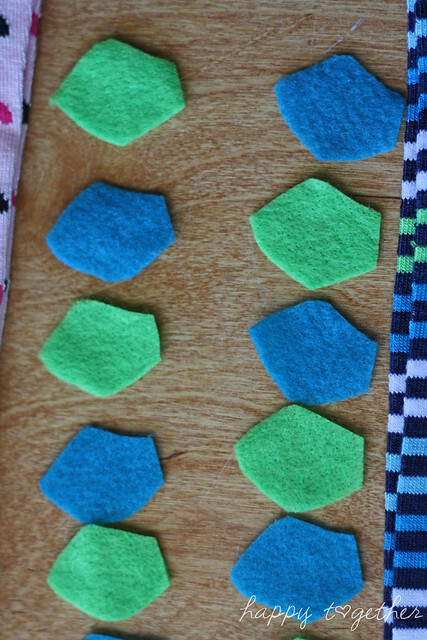 Take the socks, turn them inside out, and cut right below the top down to right below the heel. I used manicure scissors because it stuck right through the sock and made cutting easy. There was a line from them being folded already there, so I just cut on that. Then place the spikes to see how you would like them. Remember not to go too close to the heel because you want to leave room for the heel of the shoe. Then place the spikes on the inside of where you cut, making the “spiky” end pointing in. Pin each one in place. 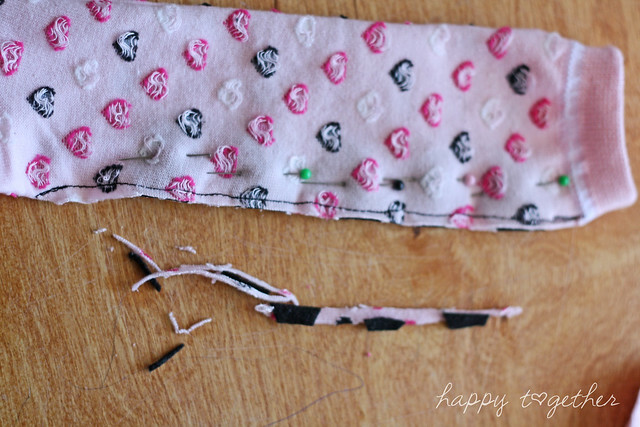 Then sew down the opening and trim off any extra fabric or felt. 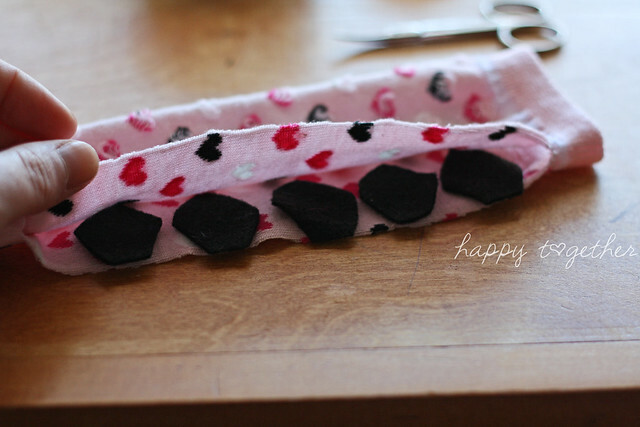 Make sure to use a needle for knit fabrics and a long stitch to work well with the stretch of the sock. 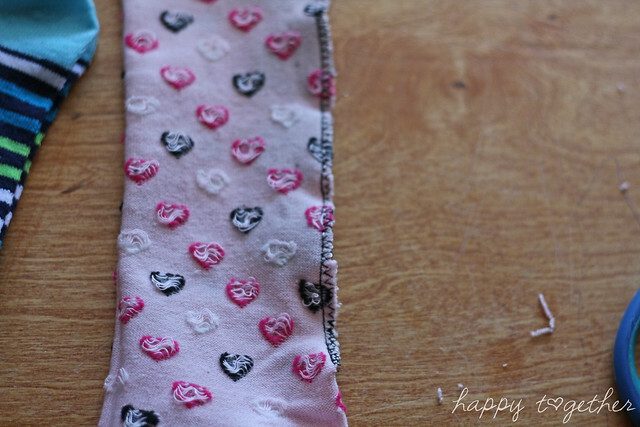 Go back over the edge with a zig zag stitch for stability and to help keep the sock from unraveling. 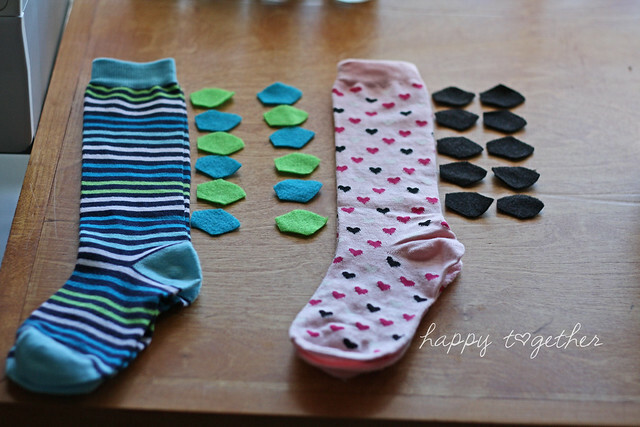 Repeat these steps for each sock. Then turn right side out. A little more about the shirt…. I started by finding a stegosaurus silhouette (I chose the second one here). Then I opened it in the Silhouette program and used the trace and cut option to create the red line around it (that’s where the machine will cut). Then I erased the image I originally opened and was left with outline for cutting. I then sent it to the machine and it cut it out of the smooth heat transfer material from here. If you don’t have a silhouette, you could still cut it out by hand if you wanted. You could also just create a fabric silhouette and use some kind of fusible interfacing on the back to iron it on or even cut out a freezer paper stencil and paint it on with fabric paint. Can you tell me where you found those awesome socks? How stinkin’ cute!!!! 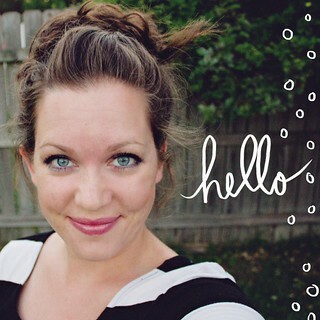 I am pinning right now! I think this will be my first ptoject in the New Year! So creative! I’m going to have to keep an eye out for cute socks and try this. Love!! seriously?? You are awesome. How simple, creative and down right adorable is this idea??? OH MY GOSH! LOVE IT!!! HOw cool! Need to make some for my girls stat! Such a cute idea! I’m going to make some for myself and my dinosaur-mad tot! That is so cute Jessica! Love it. Hilarious! You have such great ideas! Would you share a bit more about how you made the shirt? I’d love to make one of those for her too. I have a hard time finding dinosaur shirts that don’t just scream “boy!!! !” but yours is perfect. I am insanely in love with these socks. You are just the cutest! 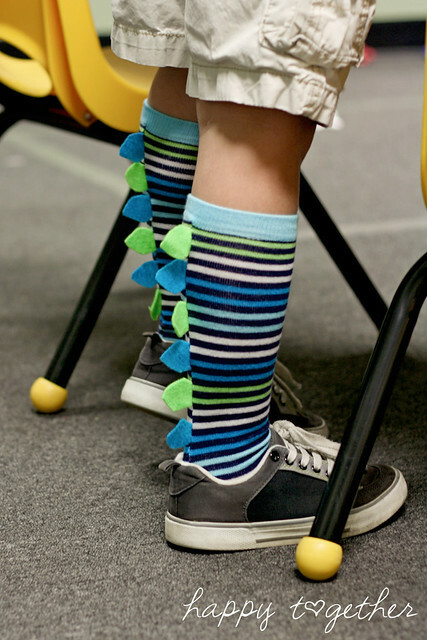 DINO SOCKS! How stinkin brilliant and easy to do too! Of course you got a ton of compliments! So many things you can do with this idea too. I added some more info at the bottom of the post 🙂 I hope it helps! Those socks are so awesome! My best friend loves dinosaurs so I think she would love a pair. Just came across this post. These are super cute. How does the felt hold up in the wash? Thanks 🙂 My daughter has only worn them a handful of times so they are still in great condition. I do turn them inside out though when I wash them. The cheap acrylic felt I used on these will pile when washed though, but you can always shave that off. Just found your post through sew mama sew and I will definitely be making these for my nephew this year for Christmas! 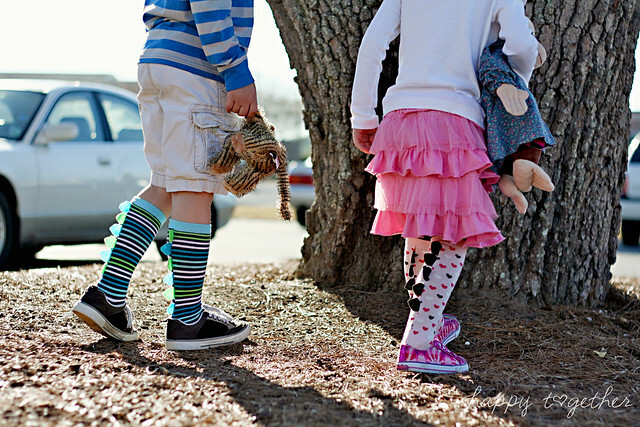 Where did you find these great knee-highs? I’m totally making these for favors for my son’s dino bday party! Thanks!! i think, they’re super cute!! I love these, they are so fun! Thank you for this great step by step tutorial. 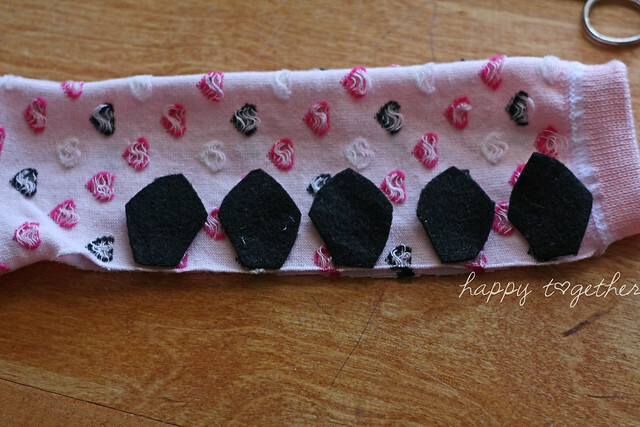 I wanted to let you know that I have added this project to my What Can You Make with a Pair of Socks Round Up. If you would rather I delete your project from this round up please let me know. 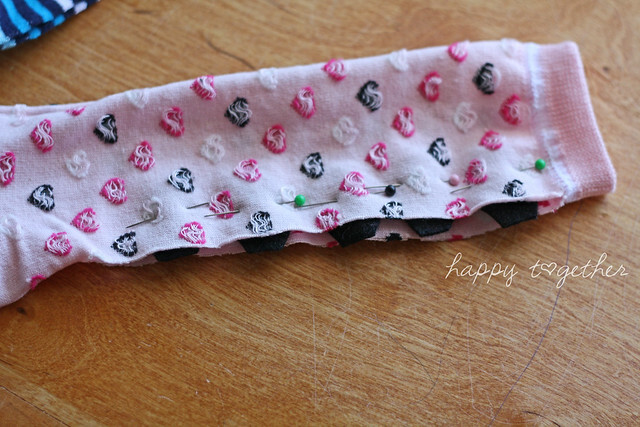 Im going to use your dino sock idea and make some dino sock puppets for my little friend’s 3rd birthday. Thanks for the tutorial, your dino outfits turned out super-cute!